. : Airport-Bratislava.sk : Hand Baggage Rules :. There are increased security measures in place at all EU airports, with strict rules on what you can and can't carry in your hand baggage. It is important to pack with this in mind to avoid unnecessary delays at airport security. Hand baggage: Only passenger with purchased priority pick-up (charge of 6 € at the time of booking the ticket) can take two hand luggage (1 x 55x40x20 cm and 1 x 40x20x25 cm) free of charge from 1 November 2018. Passengers who do not purchase a priority take-off can only take a small hand bag (size 40x20x25 cm) free of charge. Checked baggage: 10 kg luggage can be transported for a fee (charge 8 € when booking the ticket, 10 € on the airport, or 40 minutes before departure). luggage weighing 20 kg. 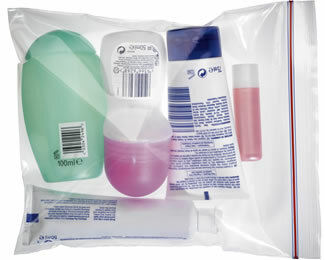 Hand baggage: Passengers who do not purchase a priority take-off can take away 1 bag of luggage of max. 40 cm x 30 cm x 20 cm free (women's handbag, backpack, smaller bag). Only passengers with Wizz Priority (Wizz Priority) will be able to take 2 pieces of hand luggage free of charge from November (1 suitcase with wheels up to 55x40x23 cm and 1 piece of luggage with dimensions 40x30x20 cm). You are allowed to take electrical items (such as laptops and hairdryers) in your hand baggage but they will need to be removed and screened separately. One lighter per person may be carried on a flight. Lighters are considered to be liquids and should be put inside the plastic bag or screened separately. You must keep the lighter on your person throughout the flight. You can take into the aircraft cabin any liquids you buy after passing through security, as these items go through a separate screening process. This includes bottled water, wines and spirits and fragrances and cosmetics of any size.